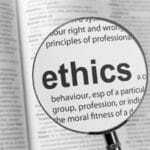 Part of The Cornucopia Institute’s commitment to protecting the integrity of organics has been increased scrutiny given to non-organic and synthetic materials proposed for use in organic agriculture or in the processing of organic food products. Federal regulations ban the use of these materials unless specifically reviewed and approved. The substance must be deemed essential (without natural or organic alternatives), and its manufacture, use and disposal must not harm the environment. Most importantly, it must not harm human health. 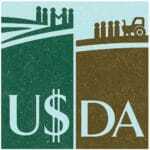 Should a material pass these thresholds, it is placed on the USDA’s National List of allowed and prohibited substances. These permitted materials require after five years another similar review by the National Organic Standards Board (NOSB) to determine whether or not they should remain on the National List. One of Cornucopia’s wake-up calls regarding National List materials came with the controversial approval and listing of a synthetic, algae-based DHA oil for use in organic foods in 2011 (see our report Replacing Mother: Infant Formula Report). The questionable approval of DHA, pushed through by raw corporate power, led Cornucopia to take a much closer look at all non-organic and synthetic substances proposed for use in organics (or up for sunset renewal). Cornucopia staff found, under closer scrutiny, that carrageenan presents a host of problems. Particularly concerning are its known gastrointestinal inflammatory properties, including higher rates of colon cancer, in laboratory animals. Much more information on this can be found on Cornucopia’s website. Cornucopia staff and supporters pushed hard for the removal of carrageenan as an approved organic additive when it came up for its five-year review in 2012. But the carrageenan trade lobby group fought back hard and found allies, at the time, in companies like Group Danone (Stonyfield), CROPP (Organic Valley), WhiteWave (Horizon and Silk), Hain Celestial (Earth’s Best, Rice Dream and WestSoy), and Smucker’s (Santa Cruz Organic and R.W. Knudsen). Their lobbyists convinced enough corporate-friendly NOSB members, including employees of Whole Foods, Organic Valley and Driscoll’s sitting on the Board, to ignore the disturbing findings of dozens of publicly funded and peer-reviewed studies and to renew its usage. Since then, Cornucopia has asked the FDA Commissioner to remove carrageenan’s GRAS (Generally Regarded as Safe) status. A petition on Cornucopia’s website has gathered more than 35,000 signatures (please read and sign it if you haven’t). GRAS status involves no independent health and safety review by the FDA; it depends entirely on industry-submitted information attesting to the safety of a product. The numerous peer-reviewed studies detailing carrageenan’s potential health impacts are not necessarily reviewed by the FDA in their determination. We have also solicited personal accounts from individuals detailing what happened to their health when they removed products containing carrageenan from their diet. Thus far we have received more than 1,200 testimonials and are sharing them with researchers. Many of these individuals related symptoms of inflammatory/irritable bowel disease and other gastric maladies. And many had invested considerable time and money with doctors and clinical specialists seeking relief from their trauma—to no avail. However, when learning of the potential impact of carrageenan and choosing to more closely review ingredient labels and then reject products containing the additive, many of these individuals reported almost immediate relief (within 24 to 72 hours) and disappearance of their problems. Cornucopia will ramp up our public education and regulatory efforts on carrageenan in the near future. 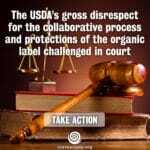 We will again seek to remove it from organic products before the NOSB and will shortly be presenting our petition calling for removal of its GRAS status to the FDA. Look for alerts from us on how you can help. And if you know someone who has inexplicable gastric problems, please share the materials on our website with them and perhaps they will find relief. Find the report, shopper’s guide, health questionnaire and FDA petition at www.cornucopia.org. This story originally appeared in the spring issue of The Cultivator, The Cornucopia Institute’s quarterly print publication available to members and online.